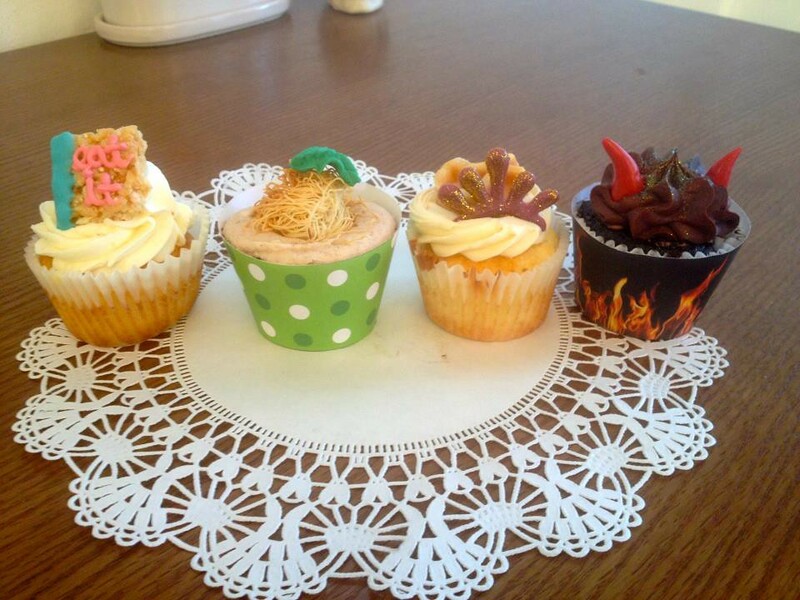 Austin's Sugar Mama's Bakeshop won Cupcake Wars and is featuring their winning flavors, named Eat It = Eat It, Polka Cake = Weird Al's accordion, Waffle King = Waffle King, Alpocalypse = Alpocalypse, this week. From an interview at Austinist with owner Olivia O'Neal: "Our challenge was to make the weirdest cupcakes possible in an attempt to cater his book release party. To say it was a huge challenge is an understatement. How do you out weird Weird Al? It certainly helps that our town motto is Keep Austin Weird!" Keep up with their latest happenings on their Facebook page and @sugarmamas on Twitter and visit sugarmamasbakeshop.com for more information. I hope I will have a chance on my upcoming visit this weekend to Austin to stop in and give you a first person report on these cupcakes!